Walk to Downtown McMinnville! Expansive deck with fire pit, seasonal creek, and golf course views. Welcome to Mac Haven, your home away from home while visiting McMinnville! Pamper yourself staying at this 2 bedroom, 2 bathroom quiet urban retreat just minutes from Historic Downtown Third Street! It's the perfect blend of a quiet neighborhood, with the convenience of being minutes away from Oregon’s favorite Main Street and the beautiful Oregon Wine Country. 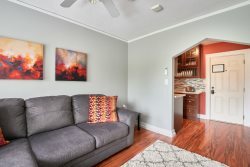 This lovely home is ready to host a group of best friends, someone traveling on business, family vacationers, and anyone else needing a comfy place to stay while visiting the McMinnville area. Entering this light and airy home, you will step into the first of two living room areas; A lovely, spacious room with a classic brick electric fireplace - for instant ambiance, cozy seating for up to 8, and a large flat screen TV, equipped with streaming and Direct TV. The second lounge area boasts panoramic views of a private golf course with comfortable seating while you enjoy the scenery. Through the lounge is the dining area and newly renovated kitchen. The bright, modern kitchen has everything you need to prepare a wine country feast and is fully equipped with pristine appliances. Dine at the table with seating for 6, or take your spread out to the vast deck to enjoy by the fire pit. The new propane grill will be gassed up and clean for your use. Moving back into the home and down the hall, you'll find the plush and cheerful bedrooms. The master suite has a cozy king bed, flat screen TV, and newly remodeled en suite bathroom with shower. The guest bedroom has a lush queen bed and guest bathroom just outside the door, all stocked with luxurious hotel quality linens. An easy 20-minute stroll to McMinnville's award-winning Third Street which is home to a great variety of top-rated eateries, renowned wine tasting rooms, unique shopping options, and nearby to the Evergreen Aviation Museum & Waterpark and Linfield University. Hop in your car or schedule a wine tour experience to visit the world-class wineries and scenic drives only minutes away from the front door. Also easily accessible is the spectacular Oregon Coast, the sweeping Columbia River Gorge and the one-of-a-kind Portland - come explore all this area has to offer! My husband and I took our first trip to wine country in Oregon and decided on staying in a vacation home instead of a hotel. We ABSOLUTELY loved this property!!! Beautiful, cozy, quaint, and extremely tidy!! This home looked like a newly remodeled property, and the pictures on the internet were true to the actual home!! All amenities were there, PERFECT location to lively 3rd street and many wineries!! We will DEFINITELY return!! The house is perfectly situated to explore McMinnville and the surrounding area. The back patio looks onto a golf course so it is the perfect place to enjoy a quiet afternoon. The house is spacious and has a well-equipped kitchen. Everything is very clean. Such a darling house. Super comfortable. The house was spotless. The beds were very comfortable. Great deck for grilling and relaxing in the sun or around the fire pit. Close proximity to downtown and wine country. We loved it. The home was clean, relaxing, well-located with a lovely deck overlooking the country club. Condiments and toiletries were provided. Beds were comfortable with a bathroom for each bedroom. The location was perfect for visiting wineries. I.would highly recommend this home away from home. Stayed for 4 days before we headed back East. It was our home-away-from-home with all the comforts. Kitchen had all the necessary items we needed, and the crockpot was especially appreciated. Came home to 2 wonderful meals already to eat. Everything was top-notchedbedrooms, baths, living room and a delightful deck. I would highly recommend it!!!! We enjoyed the great deck and beautiful lookout to the golf course. Very quiet neighborhood, with great location in McMinnville. We were very pleased with the cleanliness. The house was very functional, and the kitchen and bathrooms were well-stocked with thoughtful care. Would like to stay here again on a return trip to Oregon wine country. Great location, extremely clean and well furnished house. Perfect for a small group or two couples. Nice setting with the rear yard backing onto the golf course and a wonderful deck. My sister and I stayed here while we toured wine country. It's almost walking distance from 3rd Street in McMinnville where all the restaurants and shops are located. The location, ease of entry and amenities provided were just perfect. The house has a lovely kitchen, large master suite and fair sized 2nd bedroom all very cozy and comfortable. There are 3 separate sitting areas inside and a nice deck with chairs and seating outside. Every morning we saw deer frolicking on the golf course out back. Just so picturesque, we loved it! Nice and clean house close to it all! Mac Haven was well located right on the golf course and a short drive or Uber from downtown McMinnville. The house was clean and comfortable with a great patio and fire pit. We would definitely consider staying again if we were in the area! The house was great, spacious, clean & very comfortable in addition to being in a great location to explore The Willamette Wine Country and enjoy the shops & restaurants in McMinville & surrounding towns. Linda was great to work with and provided all the basics & more, a bottle of wine to enjoy! The Mac Haven, was a pleasure to stay in, everything was immaculate, and so many little extras , the beds were fabulous, the house is fully equipped, and the patio was pure joy! Highly recommend, and only minutes from all the wonderful things Mc Minnville has to offer. Leah the property manager is also very responsive ! Pretty house and deck, great location, quiet, short drive to town and loads of wineries. Linens were also great. Thank you! We enjoyed the house entirely. It was perfectly accommodating for the 4 of us. The kitchen was well equipped for our needs. The patio was beautifully set up with a wonderful scenery. And we absolutely loved waking up to the deer in the morning. Such an awsome surprise. No complaints for us. 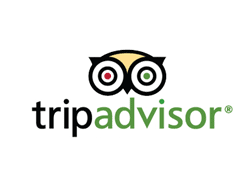 We will keep this place in mind for the future and will recommend this place to friends. We didn't find ourselves in need for anything.